17 March 1947: The prototype of the United States’ first jet-powered bomber, the North American Aviation XB-45 Tornado, 45-59479, made a one-hour first flight at Muroc Army Air Field (later known as Edwards Air Force Base) with company test pilot George William Krebs at the controls. 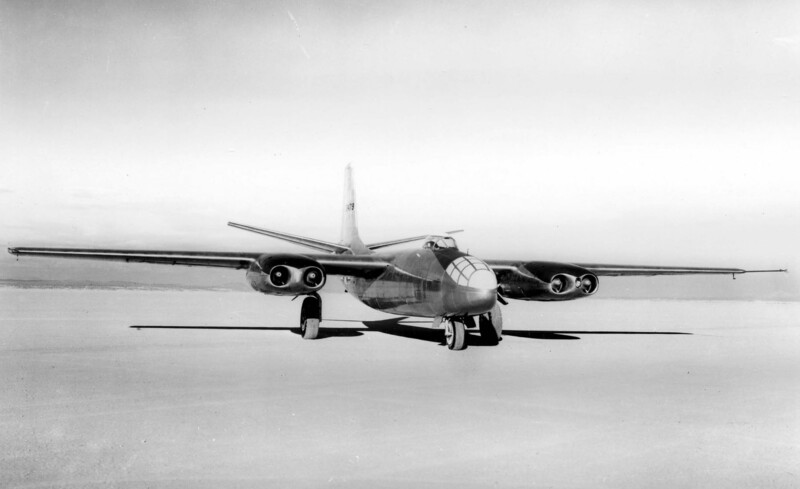 The photographs below show the XB-45 parked on Muroc Dry Lake. Notice that the windows over the bombardier’s compartment in the nose are painted on. The North American Aviation XB-45 Tornado was a four-engine prototype bomber. It had a high-mounted straight wing and tricycle landing gear. It was 74 feet, 0 inches (22.555 meters) long with a wingspan of 89 feet, 6 inches (27.279 meters) and overall height of 25 feet, 2 inches (7.671 meters). It had an empty weight of 41,876 pounds (18,995kilograms) and maximum takeoff weight of 82,600 pounds (37,467 kilograms). The three prototypes were powered by four Allison-built General Electric J35-A-4 turbojet engines, installed in nacelles which were flush with the bottom of the wings. The J35 was a single-shaft engine with an 11-stage axial-flow compressor section and a single-stage turbine. The J35-A-4 was rated at 4,000 pounds of thrust (14.79 kilonewtons). The engine’s maximum speed was 8,000 r.p.m. The J35 was 14 feet, 0 inches (4.267 meters) long, 3 feet, 4.0 inches (1.016 meters) in diameter, and weighed 2,400 pounds (1,089 kilograms). The maximum speed of the XB-45 was 494 miles per hour (795 kilometers per hour) at Sea Level and 516 miles per hour (830 kilometers per hour) at 14,000 feet (4,267 meters). The service ceiling was 37,600 feet (11,461 meters). The production B-45A Tornado was heavier and had better performance. It was operated by two pilots and carried a bombardier/navigator and a tail gunner. It was 75 feet, 4 inches (22.962 meters) long with a wingspan of 89 feet, 0 inches (27.127 meters) and overall height of 25 feet, 2 inches (7.671 meters). 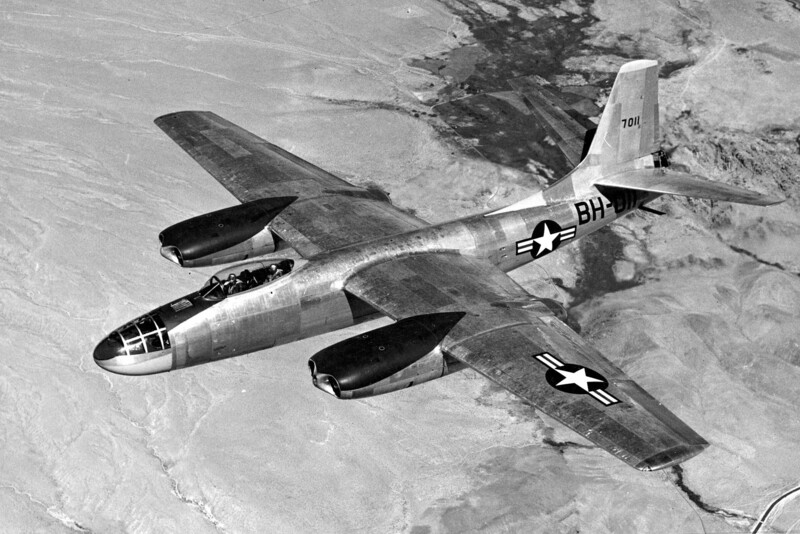 The B-45A had a total wing area of 1,175 square feet (109.2 square meters). The leading edges were swept aft 3° 30′. Their angle of incidence was 3° with -3° 30′ twist and 1° dihedral. The bomber’s empty weight was 45,694 pounds (20,726 kilograms) and maximum takeoff weight was 91,775 pounds (41,628 kilograms). 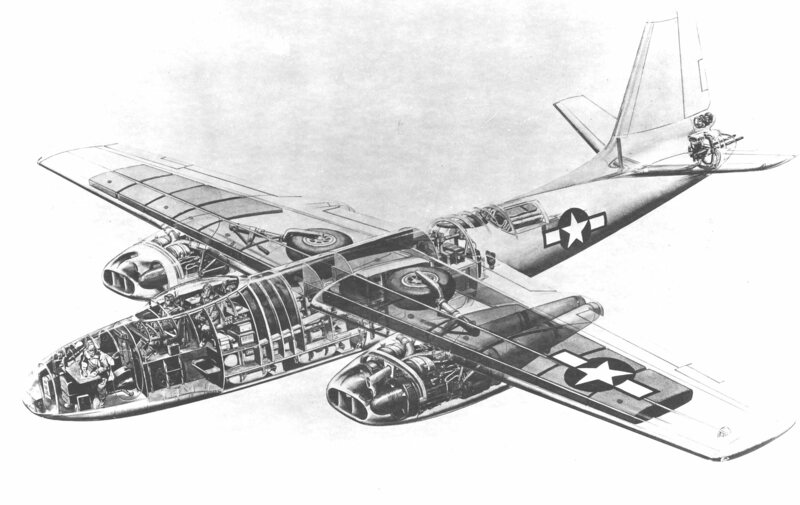 The B-45A was powered by four General Electric J47-GE-13 turbojet engines. The J47 was an axial-flow turbojet with a 12-stage compressor and single stage turbine. It had a normal power rating of 4,320 pounds of thrust (19.216 kilonewtons) at 7,370 r.p.m. ; military power, 5,200 pounds (23.131 kilonewtons) at 7,950 r.p.m. (30-minute limit); and maximum power rating of 6,000 pounds(26.689 kilonewtons) at 7,950 r.p.m., with water/alcohol injection (5-minute limit). The engine was 12 feet, 0.0 inches (3.658 meters) long, 3 feet, 3.0 inches (0.991 meters) in diameter and weighed 2,525 pounds (1,145 kilograms). The B-45A Tornado had a cruise speed of 393 knots (452 miles per hour/728 kilometers per hour), and maximum speed of 492 knots (566 miles per hour (911 kilometers per hour) at 4,000 feet (1,219 meters). Its service ceiling was 46,800 feet (14,265 meters) and it had a maximum range of 1,886 nautical miles (2,170 statute miles/3,493 kilometers). The bomb load was 22,000 pounds (9,979 kilograms). (It was capable of carrying the Grand Slam bomb.) Two Browning .50-caliber AN-M3 machine guns were mounted in the tail for defense, with 600 rounds of ammunition per gun. 41 B-45As were modified the the “Back Breaker” configuration, which enabled them to be armed with nuclear weapons. 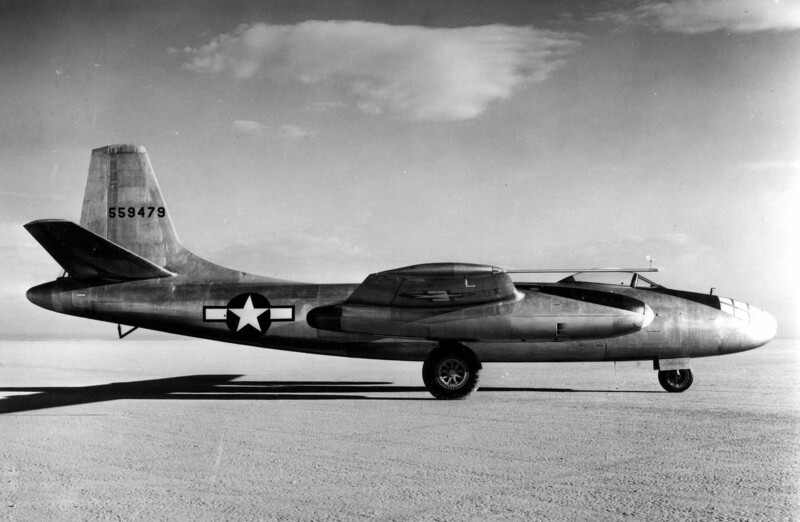 The B-45 served with both the United States Air Force and the Royal Air Force. 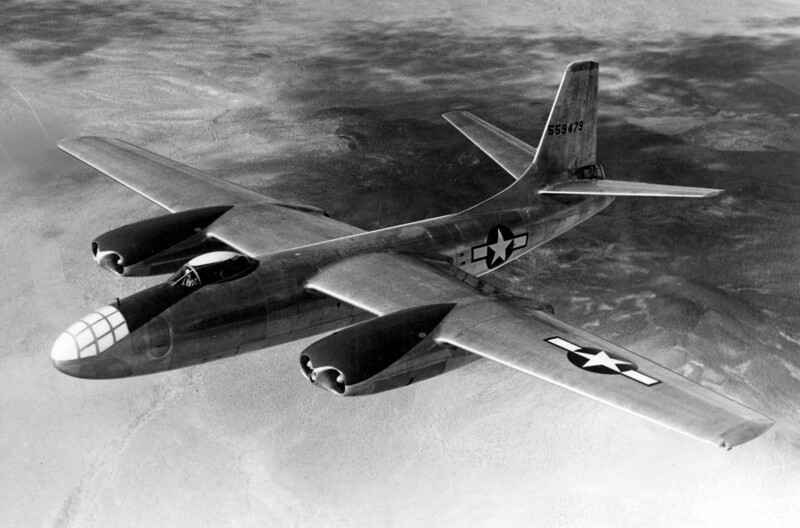 143 were built, including the three XB-45 prototypes. On 20 September 1948, the first production B-45A-1-NA Tornado, 47-001, was put into a dive to test the airplane’s design load factor. During the dive, an engine exploded, which tore off several cowling panels. These hit the horizontal stabilizer, damaging it. 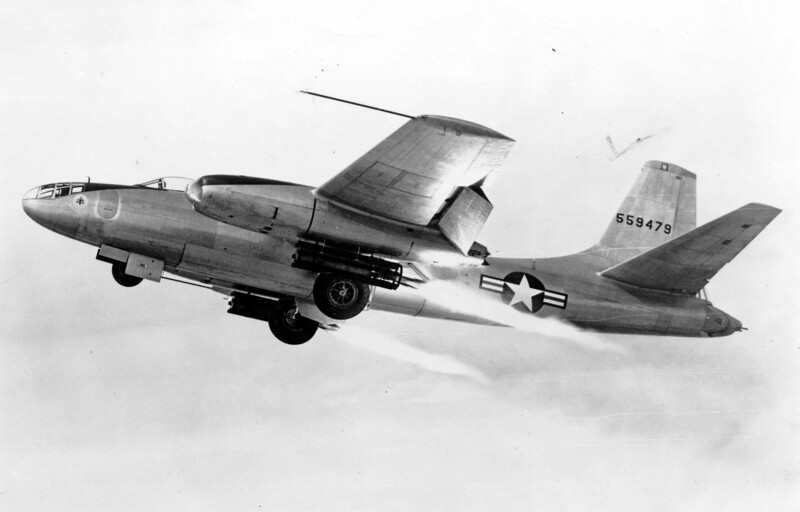 The B-45 pitched up, and both wings failed due to the g load. The prototype had no ejection seats and test pilots George Krebs and Nicholas Gibbs Pickard, unable to escape, were both killed. George William Krebs was born in Kansas City, Missouri, 5 March 1918. He was the first of three children of William J. Krebs, an advertising executive, and Betty Schmitz Krebs. 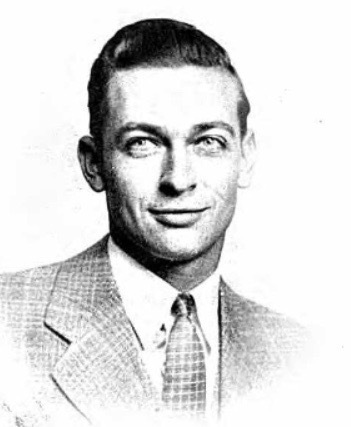 He attended Southwest High School, graduating in 1935. 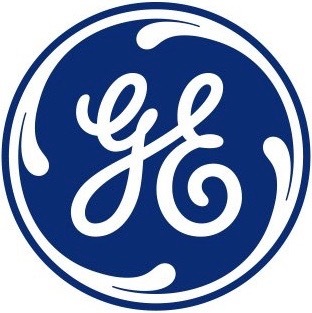 Krebs studied at the Massachussetts Instititute of Technology (M.I.T.) at Cambridge, Massachussetts. He was a member of the Sigma Chi fraternity. In 1940, Krebs was the owner of a Luscombe airplane distributorship in Kansas City. He had brown hair, blue eyes and a ruddy complexion. He was 5 feet, 9 inches tall (1.75 meters) and weighed 135 pounds (61 kilograms). George Krebs married Miss Alice Bodman Neal at Kansas City, Missouri, 26 December 1942. They had one son, William John Krebs II, born 1944. 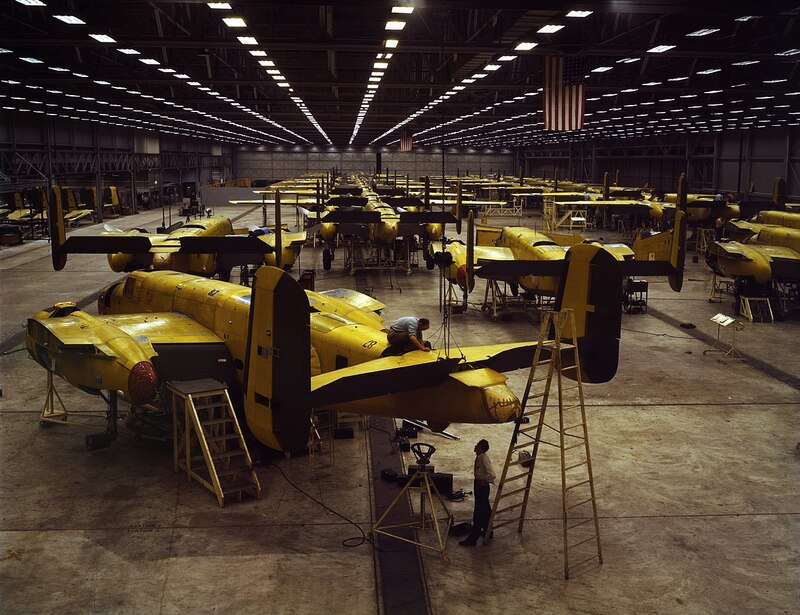 During World War II, Krebs was employed as a test pilot at the North American Aviation, Inc., B-25 Mitchell medium bomber assembly plant at Kansas City. 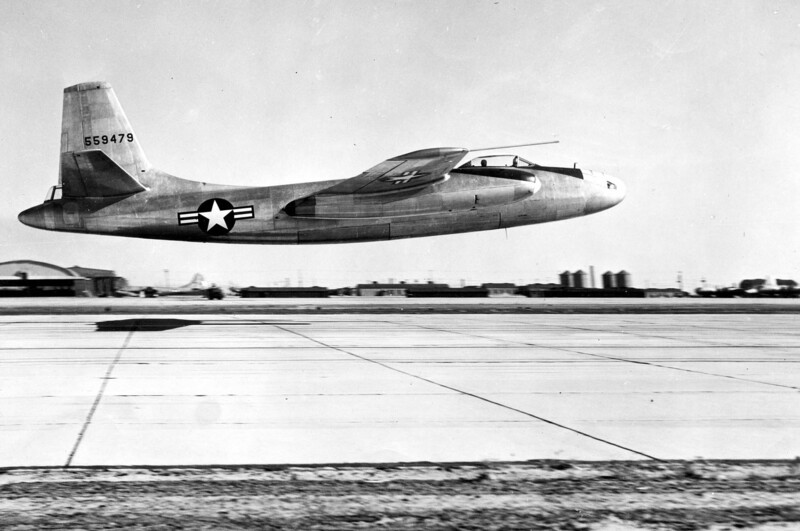 Prior to taking over the XB-45 project, he was the chief test pilot at K.C. Nicholas Gibbs Pickard was born at Brooklyn, New York, 5 November 1916. He was the second of three children of Ward Wilson Pickard, a lawyer, and Alice Rossington Pickard. During World War II, Pickard served as a ferry pilot for the Royal Air Force Transport Command. On 21 January 1944, Captain Pickard married Miss Kathleen Baranovsky at Montreal, Quebec, Canada. They had two daughters, Sandra and Manya. 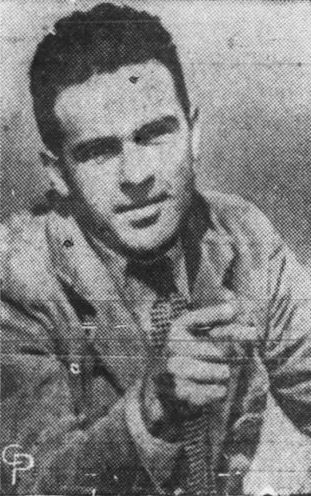 Following the war, Pickard was employed as a test pilot by North American Aviation. Nicholas Gibbs Pickard was buried at the Pacific Crest Cemetery, Redondo Beach, California.